This is a surprisingly tricky thing to work out, but the difficulty lies in being able to locate ourselves in three dimensions on large scales more than anything else. 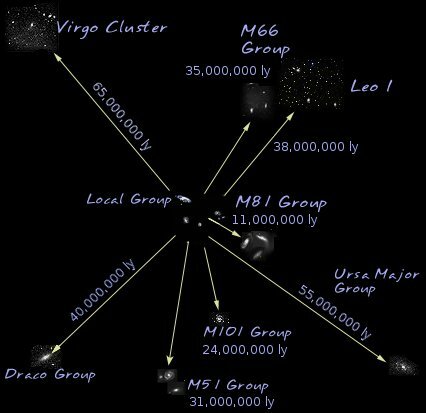 Your addressing scheme (as far as you’ve written it) is pretty accurate up to the Virgo supercluster, which itself is really a conglomeration of other clusters, both small and large, shown above. (This is distinct from the Virgo Cluster, which is about 65 million light years away from our local group.) But that address would really only help people if they know where to look for the Virgo supercluster. The next step up from the supercluster is a loose affiliation of other superclusters, so if you could get everyone in that supercluster affiliation to look at the right supercluster, they might be able to zoom in from there and find us using your address. We have dealt with this problem on a much smaller scale before. Both the Pioneer and Voyager spacecrafts tried to relay our position in the unlikely event that they were ever encountered and picked up by another intelligent race of beings. The Pioneer plaque showed the location of our planet within our solar system, but it (and the Voyager Golden record) also gave a map that would be useful to someone else within our galaxy. The set of lines radiating out from a single point on the left hand side of the Pioneer plaque and the Voyager record is this map. This gives the positions and frequencies of a set of pulsars - incredibly rapidly spinning objects that beam light out into the cosmos like a lighthouse. Each pulsar has its own unique frequency - the number of times per second it flashes in our direction. Pointing out the distances and frequencies of 14 pulsars, as we’ve done here, should allow someone else, observing the same set of pulsars, to triangulate our position. However, this can only be scaled up so far. If you’re trying to tell someone outside our universe where we are - or really, anyone sufficiently far away in our own universe - you swiftly become tangled in a different problem, which is that the more distant from our planet you would like to map out for our faraway friends, the more you travel back in time. At some “distance” from our planet, our exploration becomes one much more of time than of space. Even just the Virgo supercluster (a tiny corner of the universe) is some 110 million light years across. Undoubtably, between light leaving that side of the cluster and our receiving it, things have changed over there in the intervening 100 million years. If our visitor happened to be at a 90 degree angle to the line that connects us to the other side of the cluster we observe, they would receive light from both of us at the same time. This means that particular observer wouldn’t have the same time delay that we observe between our current time and the time that light left the other side of the cluster. They would have a different, but equal, delay on their observation of both of us. They might see a structure that looks a little different from the way we understand it, as a result. This becomes an increasingly disruptive problem the further back in time we go. At some point, we are looking at structures and objects that no longer exist. Many things can happen in a couple billion years, and they usually do, so using those objects on our map isn’t very useful for an inter-universe traveller. So what can we use as a universal reference frame? Unfortunately, one of the fundamentals tenets of cosmology tells us that there are no “preferred” or “special” perspectives on the universe. This means that there’s no overall zero point everyone can agree on, which makes it difficult to give directions. I’ve talked about this total lack of a universe-wise reference frame once before, and there’s no easy solution at hand. The best thing we may be able to do right now is to create a really good map of our little local set of superclusters, and tell our visitors to stop by if they happen to see something that matches it in their travels. Have your own question? Something here unclear? Feel free to ask! Or submit your questions via the sidebar, Facebook, twitter, or Google+. Are all nebulae/galaxy photos false colour? Even NASA ones? Most of the nebulae and galaxy photos are what we’d call false colour, yes - although it’s probably much more fair to the people who make these images to call them “exaggerated colour”, or perhaps “reconstructed colour”. These images do not usually reflect what we would see if we looked at them ourselves. The human eye has a really bizarre sensitivity pattern to light. We’re pretty good at seeing things in the yellow-green range, orange we can usually do, but once you get into reds and blues, our eye suddenly gets really bad at registering the deep reds and dark purples, and our brain translates those colours into “black”, or more accurately as, “there are no photons here that I can deal with”. To anything outside the range of visible light we are completely blind. This odd sensitivity pattern means that it’s really hard to make a camera with exactly the same sensitivity as our eye. This is the same reason why it’s sometimes hard to get your camera to pick up the colours we can see by eye. Most cameras have settings nowadays to help change the sensitivity towards a specific colour, but they won’t perfectly replicate the eyeball. Furthermore, from a scientific standpoint, replicating the eyeball isn’t an incredibly useful thing to do. We’re usually more interested in either a specific colour of light (usually one that corresponds to the colour certain atoms release) which helps us tell how much of that atom is present in the nebula or galaxy. Alternately, we can go after broader “colour” - the relative contribution of blue versus red light tells us things about the stars and dust in a galaxy. If we’re interested in these total values, and in trying to compare red and blue, then introducing the handicaps of the human eye into the equation will only serve to complicate our situation more than necessary. Given that we’re detecting light at much better sensitivities than the human eye, and that we’re usually doing it discrete chunks instead of one (very complex) curve as the eye does, putting these chunks of light back into a single image is tricky business. Even when all the light was taken from the narrow range of light that we could see, it must still be reconstructed and tweaked to reflect the brilliance of the nebula in the colours we’ve observed. Hubble has produced many beautiful images (such as the one above) labeled as ‘visible light images’. What this means is that the narrow ranges of colours that Hubble observed all fall within the the visible range - but they have still been patched together, the colour of each set of data overlaying on top of each other to build an image in full colour. This particular image had 6 colours to work with, and it’s made a lovely and vivid image, but it is still only six colours. The colours here aren’t really “false”, but they have been “reconstructed” from six black and white images. “Exaggerated colour” images can be used to extend our sight much beyond what we can actually see. Perhaps a galaxy is rather unimpressive in visible light, but has an impressive brilliance in the ultraviolet or X-Ray - to our eyes this is dark; but if the telescope can look at ultraviolet or X-Ray light, we can put it into our image, and reconstruct an image that we will never see with our own eyes. Have your own question? Something here unclear? Feel free to ask on the ask page, sidebar, Facebook, or twitter! 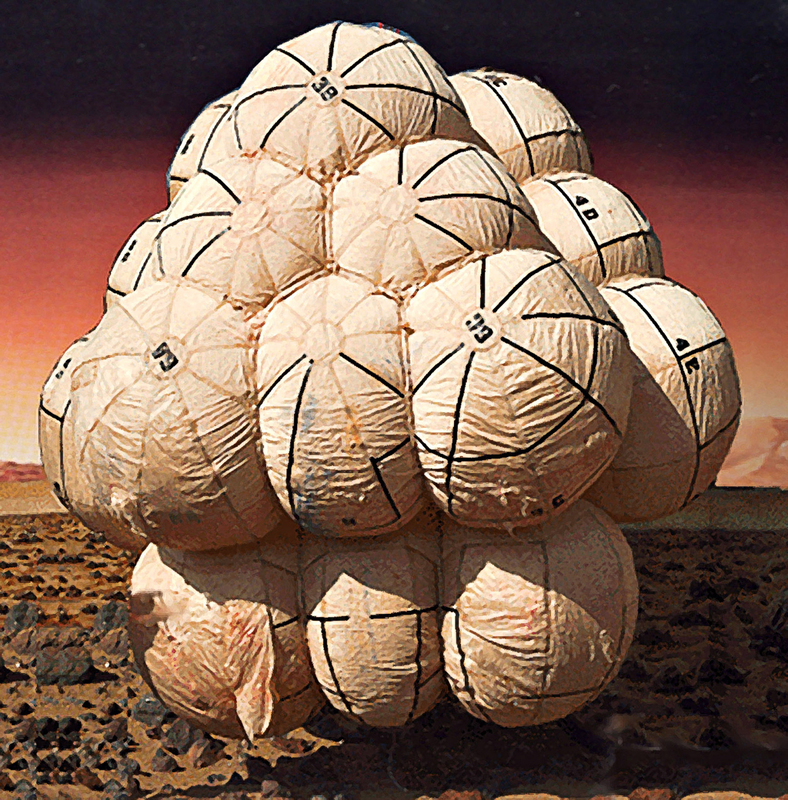 What would a human need to survive re-entry on their own? By the time you finish protecting someone from re-entry, you will have basically built a little person-sized spacecraft around them. Re-entry is a technologically challenging thing to survive, and even the smallest problem can escalate quickly, as the Columbia disaster taught us only too well. The main source of the problems with re-entry is that if you’re orbiting the earth, you’re going extremely fast. The ISS travels at just under 8 km/s, which translates into 17,224 mph, or 27,720 km/h. When landing, generally we want our sideways velocity to be as close to zero as physically possible, so we’re going to have to slow down by more than 17,000 mph. The atmosphere itself is a pretty good set of brakes- it’s a much thicker medium to go through than space, so it will slow you down, just like walking knee-deep in water is slower going than walking on land. The trouble with using the atmosphere is that you tend to exchange your speed for heat. The force of being dragged through the air is a force of friction, and as all the air particles collide with the re-entering craft, they donate a little bit of heat with each collision. Unfortunately for a poorly protected person, the atmosphere’s friction generates so much heat that the air itself turns into a 3000F (~1650C) plasma. The job of the Space Shuttle’s heat protecting tiles is to resist this intense heat (there’s something similar on the bottom of every object that has re-entered our atmosphere). When this plasma builds up, the craft is effectively cut off of communications with the ground, since all radio waves are blocked - this is known as the plasma blackout period, and lasts for a little over ten minutes. If you’re trying to protect a person from re-entry, step one is going to be to make sure that you have surrounded your person in some seriously intense insulation to keep several thousand degree plasma from roasting them to a powder. On top of being incredibly heat-resistant, the insulation is going to have to be incredibly resistant to cold, since we’re starting in the frigid temperatures of space. For the survival of our human, it’s not enough to have a plasma-protecting layer that doesn’t crack in the insane cold of space; our person must also be kept in the very narrow range of temperatures in which we humans are comfortable. Fortunately, temperature regulation is usually built into another piece of equipment he’s going to need - a pressurized suit. Since we’re starting in space (zero air pressure), and the descent goes through a lot of extremely thin atmosphere (very little air pressure), we need our person to be cocooned in a pressurized suit to keep the gasses in his blood from boiling from the lack of atmospheric pressure. Even with these considerations taken care of, we can’t just wrap our unlucky space-jumper in some kind of high test, pressurized, internal temperature-regulating bubble wrap and fling them out of the International Space Station. The human body is a very delicate thing and does not handle large accelerations well, and this includes spinning. If our jumper lost even a little bit of stability as he fell through the atmosphere, he could begin to tumble. The chaotic rotation of a tumble can cause strong forces - several times the force that gravity normally exerts (abbreviated 1G). A force of 6Gs for more than a few seconds can cause even seasoned pilots to black out. At the point when our pilot has blacked out, there’s almost no hope of recovering from the tumble, and if the force on the body is not reduced quickly, your chance of death increases rapidly. Tumbling was one of the major concerns with Felix Baumgartner’s jump from 24 miles up, and he did in fact tumble for some time, but managed to pull out of it - if the tumble had continued or had been harder to escape, he would have been in serious trouble. So now, in order to be safe, we need an aerodynamically stable pressurized plasma-proof coating for our space jumper, just to survive early re-entry. This is effectively a small craft built around our person, and we’re not even close to the ground yet. Parachutes aren’t very useful until you get reasonably close to the ground; the air needs to be thick enough to exert a strong drag force to help you slow down when it catches in the chute. You also need to be going sufficiently slowly that the air is not being heated into a several thousand degree plasma around you. But once you get down to this level, parachutes are a fantastically useful and reliable method of slowing yourself to the point where you probably will not die upon impact with the ground. Because they’re so reliable, we have attached several of these to nearly every single object we land on a surface, which includes on Mars. The Space Shuttle had a trio of parachutes deployed upon touchdown to help it slow down, and all the Gemini & Apollo class missions had parachutes deployed before splashdown. The Soyuz capsules still land this way - it’s a tried and true method. Trying to land without a parachute is a lot harder. 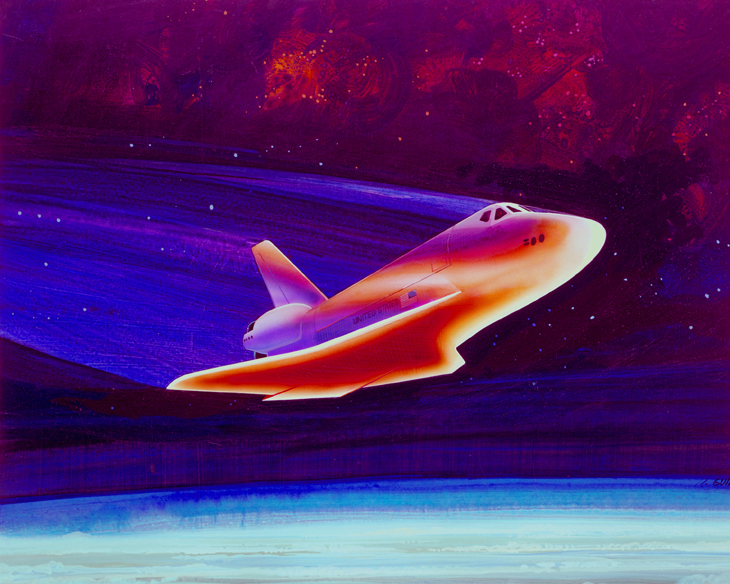 The space shuttle did most of its slowing down (once it made it past the plasma stage) by gliding. The shuttle was an impressive feat of engineering; once the guided portion of re-entry was over, the pilot of the shuttle manually landed a completely unpowered craft, slowing it down to a touchdown speed of ~220 mph. The runway for the shuttle is phenomenally long (about 15000 feet) and made of high traction concrete, just to give it enough time to roll to a stop. It’s by no means a simple task to make it back down to the ground from Earth orbit. We may someday have the materials and the technology to protect someone from the many forces involved, but at the moment, it would be a plunge to certain death. Will there ever be new planets? Our solar system is not making new planets anymore. All of our planets were formed very early in the lifetime of our star, when there was still a lot of heat and energy in the disk of material that surrounded the young Sun. It was this heat and energy that allowed the small grains of dust to stick together and form larger and larger objects, until the rocky and gaseous planets we know today had largely formed. 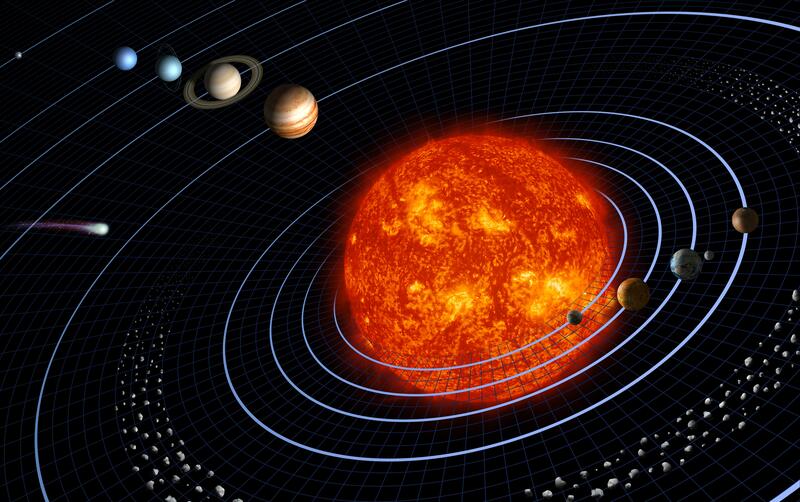 The solar system gradually cooled down. As it did, fewer and fewer small pieces of material were able to stick together, until eventually, everything stopped - stuck the size and shape it had been at the moment it could no longer continue growing. It’s been several billions of years since the formation of the solar system, and most of the material around our Sun has stabilized; it’s either part of a planet already, or it’s something along the lines of an asteroid or comet, whose shapes are quite literally frozen into place. We may yet discover more dwarf planets in our solar system - the dwarf planets are small, and require a lot of hunting. But as far as rocky or gas giant planets, our solar system is finished. We are, of course, also searching for planets outside our solar system. Kepler, the planet-hunting satellite, has found 135 confirmed planets, and more than 3500 planet candidates, at last count. Kepler hunts in a very small area of the sky, so there are certainly many many more planets to be discovered outside of our solar system. But in terms of entirely new planets being created - this is also happening! Planets tend to form around new stars, and our galaxy is forming a few new stars every year. (Usually our Milky Way is quoted as making an average of about 3 new stars every year, which is not too bad for a galaxy of its size.) So every year, we have three new stars around which we can form a few planets. Some estimates state that, on average, each star has at least one planet - so our galaxy is, on average, forming a few new planets every year! Have your own question? Something here unclear? Feel free to ask! Astroquizzical has reached 100 followers! Thanks to all of you for making it happen, both old and new! It couldn’t happen without you. Please keep your questions coming! To submit questions, you can do so through the ask page, the sidebar on the main page (both anonymous-friendly), twitter or facebook! If you have been enjoying Astroquizzical, please share it with your friends, and I encourage all of you (and your friends!) to pass along even the idlest of space questions that come to your minds.